Start out going Northwest on OLYMPIC DR SE towards HARBORVIEW DR SE. Turn LEFT onto WINSLOW WAY E.
Turn LEFT onto MADISON AVE S.
Turn RIGHT onto SW PARFITT WAY. Prices based on LOA or slip length whichever is longer. We do not allow pets or children as residents. Only boat owners are allowed to liveaboard. 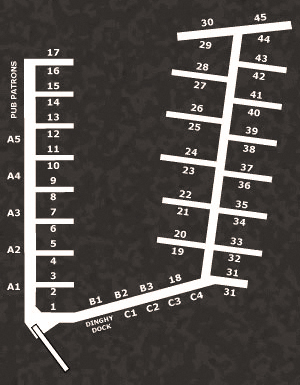 If you desire longterm moorage at our marina we would be happy to discuss availability with you. Before responding, we will need the information contained in the application below. You may fax, EMAIL, or snail mail the info to us. 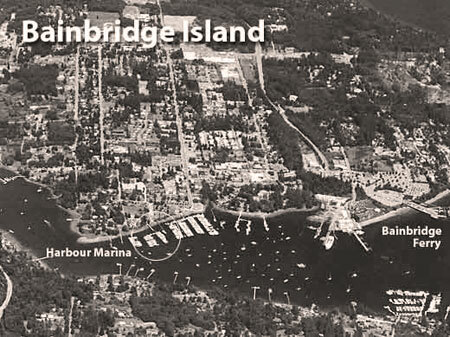 If moorage is not immediately available, we do maintain waiting lists. 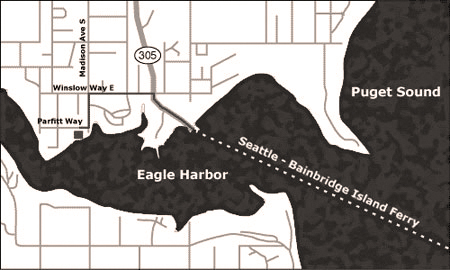 If you desire transient moorage (duration less than one month), fax, EMAIL or telephone the Dockmaster 206/550-5340 for reservations and rates.